As we prepare to move to our new house in two weeks, I am dreaming of how I am finally going to get to decorate my children's rooms, what colors to paint and themes for each room! I was sort of at a loss of how to decorate them when PaperRamma reached out to me and offered some of their great designs and wall decor! I immediately fell in love with several of their designs and I became very inspired of how to decorate two of my children's rooms thanks to PaperRamma! PaperRamma designs are innovative and personalized art to celebrate each of life’s special moments. From trendy and personalized Canvas Guest books for the bride & groom’s special day, to one-of-a-kind personalized nursery decor, and interactive map prints to mark the family travels - they have it all and it is all one of a kind! Their art would make a great gift for any person on your gift list this holiday season! They have even been featured in IN HGTV Magazine! Their luxe designs, art prints and more are one of a kind and not found in stores! I don't have any type of birth announcement for my new son yet so when I saw this super cute Baby Fawn birth announcement, I loved the colors and was inspired to make this the centerpiece in my son's new nursery room! I just send them my baby's info and one of their Design Gurus worked with me to create a special personalized print especially made for my son! This personalized print can be custom colored to match any room (no charge! )- you can even just send the link to the bedding set in the order note at checkout to match it perfectly! I absolutely LOVE the colors and the print came out exactly like I had hoped! The Design Gurus were so great to work with and friendly!! When I saw these You are my Sunshine prints, I instantly pictured them as the centerpiece in my daughter's room..except in purple, blue and pink. I emailed my thoughts and desired for colors to the Design Gurus and they worked one-on-one with me to customize these special, lyric prints just for my little one and her purple room! These prints are one of their best selling nursery prints and I can see why! 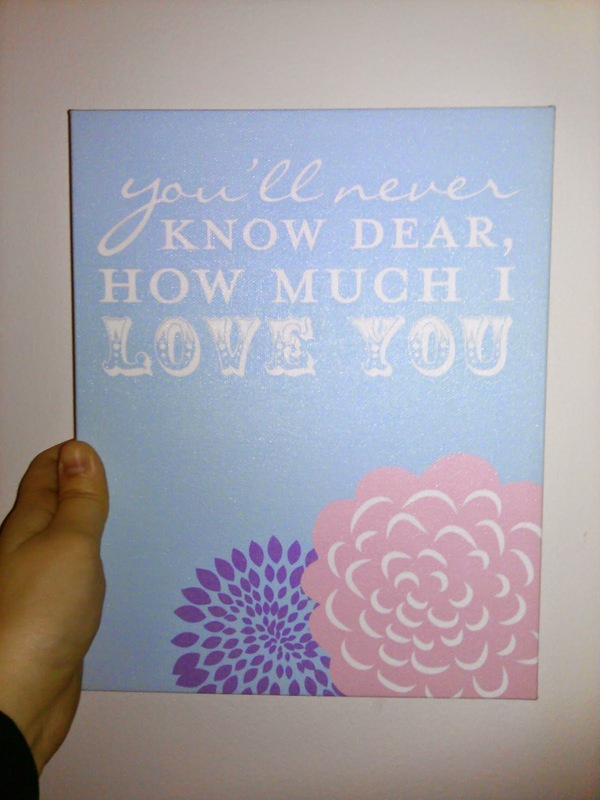 Such a sweet verse from a classic song, this print set is very versatile and can tied in almost any color scheme. Add a touch of color and art to your nursery or room- these typography art prints have been custom colored in just about every shade, and look beautiful each time. I was pretty picky with getting this design and color right but the Design Gurus worked patiently with me every step of the way until it was exactly how I pictured! They were so great to work with again and I am so happy with the final product! It is going to look awesome in my daughter's room! True Quality: rich, vibrant, archival inks with sharp detail. Packaged with Care: professionally packaged and carefully shipped in a premium mailer. I HIGHLY recommend PaperRamma and their awesome personalized art and Design Gurus! They have a huge variety of cute and unique wall decor and they were amazing to work with! I now have one-of-a-kind wall art for two of our children's new rooms and I can't wait to hang them up! You can purchase all these prints and many more from the PaperRamma website or Etsy site. And make sure to use this coupon code when you order!! PaperRama is generously offering (1) 8x10 Art Print in any of their Birth Announcement designs to a lucky winner!